Building healthy soil takes time, in fact, it can take year. But there are things you can do to speed it a long like using worm castings to nourish your plants and build healthy soil. In a nutshell, worm castings are worm manure or poop if you ask a young child. But unlike other animal manure, worm castings are a finished compost when with a neutral ph of 7.0. This means it can be used immediately to build healthy soil in the vegetable garden, herb garden, fruit guild or even to feed potted plants. Earthworms tunnel through soil and eat organic matter. As the organic matter passes through their digestive system it’s turned into black gold – a mixture of enzymes, bacteria, nutrients such as magnesium, calcium, potassium, and phosphorus, plus remnants of plant matter and animal manure, as well as earthworm cocoons (while damp). All of this in a slow release form that is immediately usable for plants. 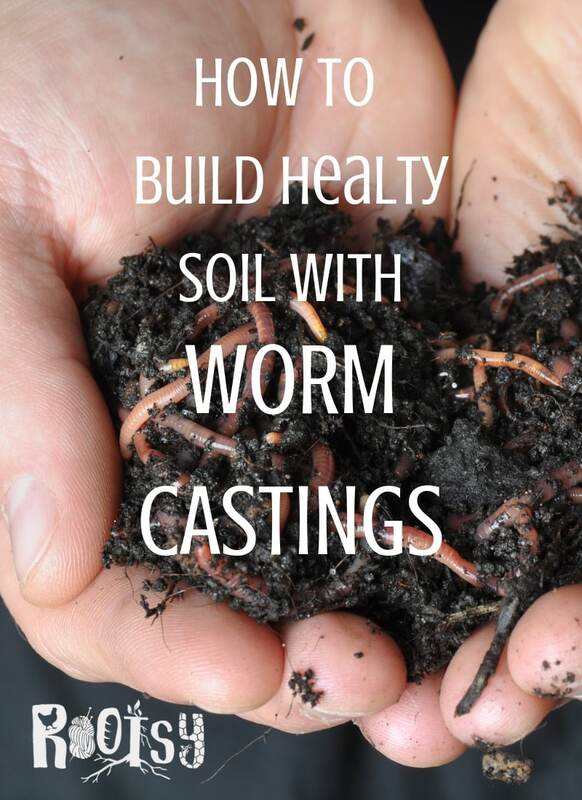 There are many benefits of using worm castings – from building healthy soil to increased plant growth and yield. Worms extract harmful fungi and bacteria from the soil which helps prevent plant disease. 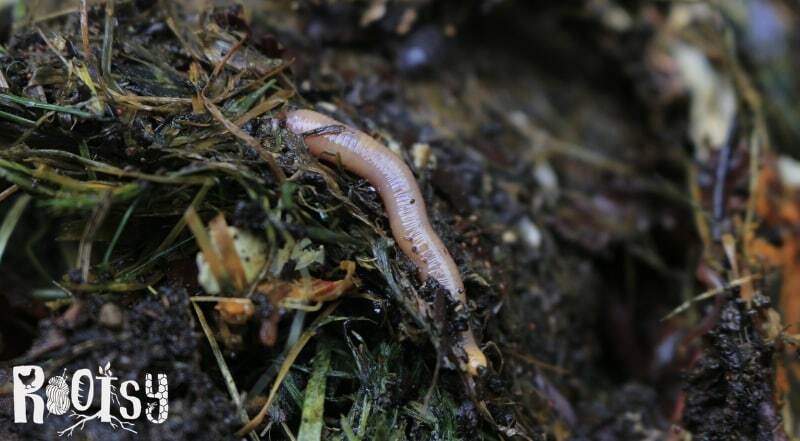 Worms help fix heavy metals, such as copper, in the soil. The metals are stored in the worm tissue and not passed through in the worm castings. Worm casting have a neutral ph which can help offset acidic or alkaline conditions in the soil. Worm castings improve the condition of the soil by increasing aeration, stability, drainage, and water retention. Worm castings help repel pests such as aphids and spider mites. Worm castings contain beneficial enzymes and microbes which help protect the plant from disease. 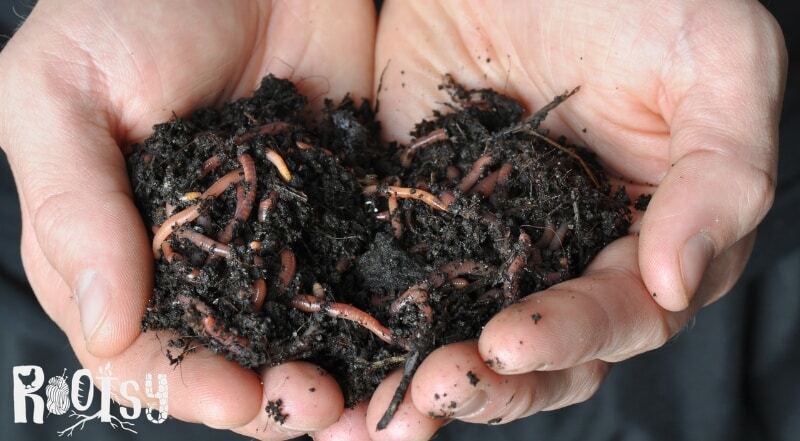 Worm castings are a fully finished compost and cannot burn plants as other manures can. Worm castings are a slow release fertilizer but do not contain any salts. All the nutrients in worm castings are water-soluble which means the plant can use it immediately. Worm castings contain humic acid which helps the plant absorb more nutrients and stimulates plant growth. Worm castings can be used to grow any plant, including potted plants. The most important thing to remember when using worm castings is that a little goes a long way. 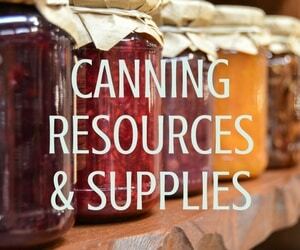 Casting are nutrient dense so you don’t need much. Probably the most common way to use worm castings is to add them to the soil when planting by adding 1-3 tablespoons into the planting hole. Then planting the plant as you normally would. If you want to amend an entire garden bed, use one pound of castings per square foot of garden. You can also use worm castings to top dress or side dress plants too. After the plant is planted sprinkle a few tablespoons around the plant, scratch it into the soil a bit and then water it in. Top dressing or side dressing a plant is a fantastic thing to do mid season, especially for heavy feeders such as tomatoes and squash. Worm castings can be used to make a compost tea that can be sprayed on the plant and on the soil. This is a great way to help control pests and disease on the plant. To make compost tea you’ll need water, compost, unsulfured molasses, a compost tea bucket, and 24 hours. You can find specific instructions for making compost tea from the castings the same way you would make compost tea from comfrey. Here’s how to make your own DIY Compost Tea Bucket. So where, exactly, do you get worm castings? From worms, of course. You can buy bags of worm castings in most nurseries and garden stores. They will probably be more expensive than other manure or compost but the quality is so much better and you need to use so little that it’s worth the expense. 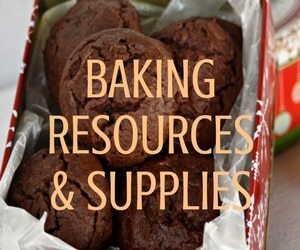 If you can’t find it locally you can also order castings. Earthworms live in almost every climate. They need decaying plant matter and moist soil to live. This means that you can get castings by encouraging the worms that are already present in your soil. Some ways of doing this is to go to a no-till gardening method, limit pesticide use, and mulch heavily. Of course, it will take time to see an increase in the worm population of your garden but in time your garden soil will be teaming with earth worms. Some people will stock their soil with red wigglers but that may not be the greatest idea because they can displace native earthworms. Lastly, you can set up your own worm farm and get worm castings for your plants through vermicomposting. Vermicomposting, also knowing as vermiculture or worm composting, is an easy way to get a lot of worm casting for your garden and potted plants. To worm compost you just need a container, worms, newspaper, and food scraps. One of the great things about worm composting is that you don’t need much space and it can be done inside or outside. Setting up a worm composting system is a quick win project that you can put together in 30 minutes or so. We have short video and printable to show you exactly how to set it up and start growing your own worm castings. 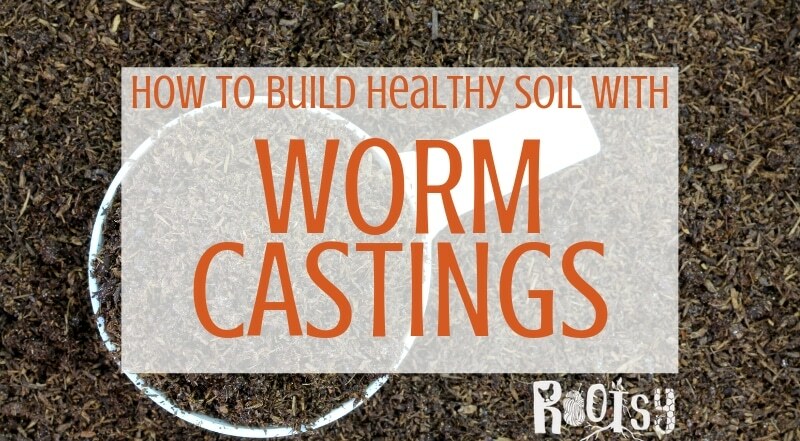 Do you use worm casting to build healthy soil? If so, we’d love to hear how you use them. Just leave a comment below.